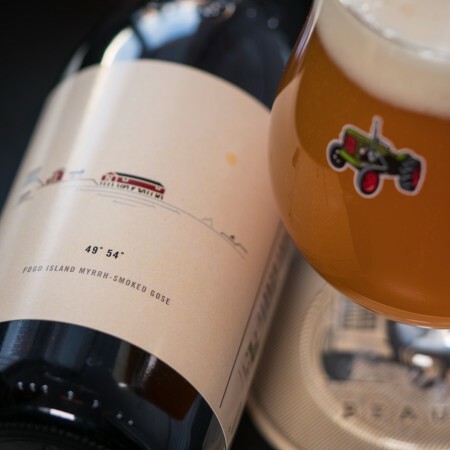 VANKLEEK HILL, ON – Beau’s All Natural Brewing has announced the return of a beer that was originally released last year as part of a series of collaborations marking Canada’s 150th birthday. Named for the approximate latitude and longitude of Fogo, the recipe includes Newfoundland partridgeberries gathered from the island, and sea salt collected from its shores. The beer is spiced with Fogo-sourced torrified birch bark, and some of the malt was smoked with what islanders call myrrh: a hardened tree sap gathered from the conifers that are part of its rugged and starkly beautiful landscape. The result is a certified organic craft beer that authentically taps into the terroir of the largest of the offshore islands of Newfoundland and Labrador.